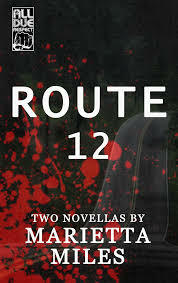 Route 12 (US) is an unflinching novella that’s full of beautiful writing and excruciating pain. Three souls with broken pasts are brought together and become tangled up in webs of darkness. Percy is sent to a boys’ home/prison when his mother is sent to jail; Theresa has also lost her mother, in this case to suicide; and Cheryl has been left crippled by polio. 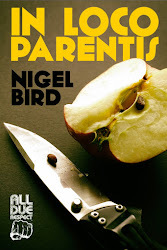 When Percy leaves the brutality he has grown up with in his institution, he’s full of anger and bile. The only way he can express himself is through sexual violence and hate. He descends upon Belle Gap where Theresa and Cheryl are surviving the knocks of teenage life and of growing up in impoverished circumstances. As the trio come together, it’s clear that terrible things are on their way. Miles does a wonderful job of focusing in upon detail and creating mood. The sense of impending horror is strong and the way the strands of the tale are brought to life there are no soft landings. At some points I found the material so tough that I struggled to continue. This wasn’t because of poor writing. In fact it was just the opposite. The quality, rawness and honesty were precisely the reasons I found it so difficult. It’s a compelling read that will challenge more than a few. Read this on days when you’re either feeling strong or when you need a fix of something different from the norm. The second novella brings together a cast of misfits to weave a sinister plot set in North Carolina. Pastor Friend is there to look after his flock. He has a particular way with young pregnant women who feel the shame of an era pressing down on them. He’s not what he seems, however, and his sick mind is capable of the most hideous of manipulations. Harrowing and challenging throughout, this is a heavy slice of noir that isn’t always easy to digest. Go dig in. In my first novel – Abide with Me – four years ago, not all of the characters made it through. Not having planned the book in any way, some of the characters that left its pages surprised me as much as it did them. It was just the way it was. But not all fell by the wayside. Some did make it through. I can't wait. I'm finishing up Lou Berney's second book, and then I get to check in on my old friends. See where they have taken you. So attached, and so real, had the characters in Abide with Me become for so many readers, writing a sequel held huge anxieties for me. I always knew these characters were an integral part of who I am. How could it be any other way, for any writer? Characters can only ever come from one place – the writer himself. So, as Josh said, where were they going to take me next? The answer: to a place I already knew and didn’t want to go. The characters were pushing me out of my writer’s world and out into the world outside. The thing is, my life outside was fast falling apart. It was the last place I wanted to be. For it was dark there. And out of it came April Skies. 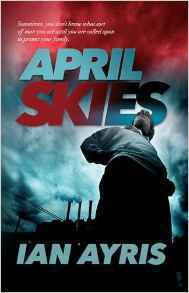 April Skies is currently available for pre-order here (or here if you're in the US). 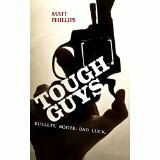 In Tough Guys (US), Matt Phillips delivers a really interesting collection of short stories and flash pieces that I recommend you go and check out. There’s a good deal of variety, which means every beginning brings the excitement of the new and unexpected. The stories also have a lot in common – tight writing, great voice, strong dialogue when required, interesting settings and the careful handling of an idea. The tough guys in question all have their own histories. Some have been born to brutality and some have had it thrust upon them. As they play their hands, there are winners and losers among them. Some of them even come into contact with some tough gals along the way. Take Sandy from the diner, for example. Or the six-year old girl from my own personal favourite of this excellent bunch, No Sé. Phillips plays around with the colourful palette of his talent with great skill. 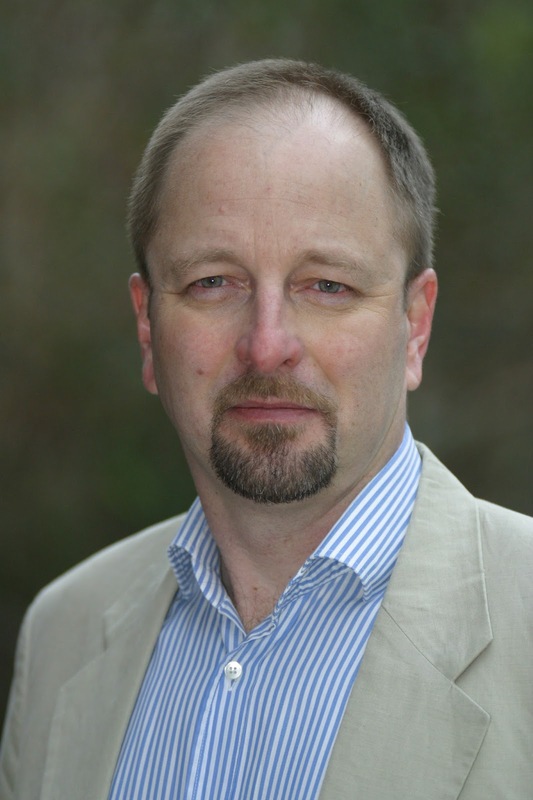 He uses it to deliver a punch, to create the poetic and to provoke thought. Best of all, he uses it to tell tales that deserve to be savoured. Phillips has also written the excellent Redbone, which I heartily recommend, and the tasty looking Bad Luck City, which I very much look forward to diving into in the very near future. Before the main event, a couple of bits and pieces. First off, there’s a new Donald Ray Pollock due for release in July. It’s called The HeavenlyTable and you can take a look at it here and pre-order if you’re so inclined. That’s great news. I’ll be ordering in hardback because I want it on my shelves rather than on my kindle. I can recommend it already and, beyond the title, I haven't read a word. Can’t wait. 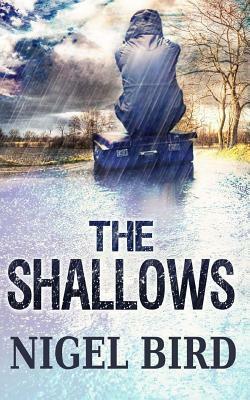 I’d also like to point out that my latest, The Shallows (US), is at the release price (99p/99c) for the last day. Thanks to all those who’ve taken the time to spread the news, buy copies or pass on their feedback as reviews or messages. All the little things mean a lot. I’m very grateful. And so to The Whistling Sands (US). The cover of this very tight novella is perfect. It shows a man disintegrating as he stands looking out to sea. It’s a match for the book because that’s what happens within. Ex-boxer and prison inmate Ned Flynn is slowly falling apart, as is his resolve to sort out his life. At the opening, Flynn returns home and decides that he should make space and time to look after his fragile mother. In order to help him do that, he needs cash. To go straight, he takes a job from a local gangster who wants Flynn to bring his estranged wife, Nia, back. From this point on, nothing is simple. Flynn falls for Nia. In no time at all he’s obsessed. She provides him with the soothing calm and the desire that distract him from his other woes. The problem is that Nia’s history seems troubled. Her most recent partner is dead and she he has set up a shrine within the house for him. Folk in the village are deeply suspicious of her and don’t mind spreading poisonous gossip. She owes money all over the place and has turned the heads of all the men around. The message that this lady is not to be trusted comes from all directions, yet Flynn is in too deep to care. As you might imagine, things get very messy. Flynn falls foul of the locals. He also fails to resist bouts of drinking that he knows will accelerate his downfall. His mind begins to unravel and he becomes tangled in a web of his own making. He’s even seeing the ghost of Nia’s ex and is haunted by the uncertainty this creates. I thoroughly enjoyed this one. It’s a substantial read. The femme fatale has all the required attributes just as Flynn has all the requisite weakness. They have a great chemistry and it’s clear that their lives together are going to lead to an explosion. 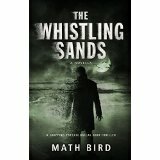 The wait for that explosion is tense and unsettling and the twists and turns along the way are well-paced and gripping. The setting in this book is also well created. The woodland and coast provide an open and beautiful landscape, yet Bird manages to twist this into a claustrophobic space that adds hugely to the dark mood. 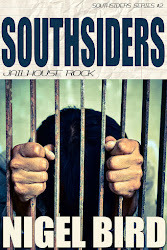 A super tale that fits the noir mould like a large hand fits a small glove. I’m not a great one for re-reading books. When it comes to weighing up visiting a place I’ve already been or visiting somewhere fresh, it’s the new pastures that usually win out. Maybe that’s a balance I need to adjust, however. Going back to this Steinbeck was a wonderful experience that was just as full and emotional as it was around thirty-odd years ago. In some ways it was richer because of the miles I’ve collected on my clock simply by hanging around. I’m not really sure, for example, that I fully understood the idea of Curley’s ‘glove fulla vaseline’ and his need for a soft hand at my first visit. I came back to Of Mice And Men (US) after enjoying Blaze by Stephen King. The jump from one to the next was the obvious path to take and I decided to follow the signs. Of Mice And Men is so well known that I’m not sure I can add anything to the weight of opinion and thought that already surrounds it. A couple of migrant workers, George and Lennie, stumble into the book to take rest down by a pool frequented by tramps. Lennie’s a gentle giant on the surface, but he’s also prone to losing control. George is his companion, a worldly-wise and weary soul who keeps everything straight and makes sure Lennie can survive in a cruel and difficult world. They go to work on a ranch and it becomes immediately clear that there are going to be problems between the boss and the incomers, if for no other reason than that’s the way the power within the economics works. What unfolds is one of the juiciest and most perfect tales I can imagine being told. Better still, it’s all contained within around a hundred pages - for a lazy reader like me, that’s a blessing. The fact that such a huge piece is done in such a small space is a testament to the quality of the writing and the concept. There’s nothing there that doesn’t need to be and that’s a real strength. This book had me from the start. The seeds of menace and doubt are sewn in the first few pages. The sense of foreboding grows with each passage. As the tension builds, the feeling of warmth and love of the central pair grows. The tension notches up because the more you want everything to turn out right, the less likely it seems that there can be any positive outcome. Ordinarily, that might be considered to be a spoiler. Not so here because Steinbeck keeps telling you what’s coming. He marks the way at every step and this makes the prospect of the end increasingly unbearable. It was so effective in my reading that I almost couldn’t finish. The impending heartbreak was as much as I could bear. I did make it to the final page, however, and the power of the finale is stunning no matter how inevitable it has become. I was drained when I closed the book. Sad as hell and totally satisfied. It struck me that Steinbeck really does cultivate the story. He starts things small and builds them up. Take the theme of Lennie’s love of softness. First come the mice and then we grow to pups, girls and then to Curley’s wife. They’re all part of the same desire; it’s just that the manifestations simply lead to different consequences. The book’s jam-packed with aspects of being human. 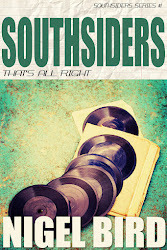 There’s love, obsession, corruption, injustice, friendship, loyalty, history and hope. I don’t want anything else from a book that this, for what else could there be? Total noir! For me, I hope this is a lesson learned. Those books I loved many years ago, they still need attention and it’s about time I gave them some. 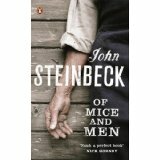 Post Script - Of Mice And Men has 35 one star reviews on Amazon UK. Having gathered a few of them for my own work, I find this immensely reassuring. Michael, the first question has to be why would a thriller writer with three solid successes under his belt and a growing reputation decide to switch to satire? Well, it’s not just any old satire. It’s a satire about Interpol, so it’s still very much in the world of police and crime fighting and deception and double-crosses. So I guess it’s not all that far removed from the sort of world where my Frank Delaney character operates in the thrillers, really. And remember that because this is a satire about Interpol, just the name, the very word Interpol, breathes intrigue and mystery. Sure, but why satire? Why not write a thriller about Interpol, involving Interpol agents? In fact I referred a fair bit to Interpol in my last thriller and had a couple of Interpol characters in that one, The Tsunami File, so I could see clearly the potential for stories and characters drawn from Interpol. But to answer your question…. because I worked at Interpol myself, and was so immersed in that organisation, I just thought that in a number of ways the best way to tell the Interpol story was through satire. After my experiences there I wanted to give a sense of the craziness of it all, the intensity of the way that place works, and all major police organizations, really, the way they do crucially important work but get caught up too in personalities and politics and ambition and, not to put too fine a point on it, straight-out human craziness. So this could have been a satire about, what, the FBI or the NYPD or Scotland Yard, just as easily? Exactly. Yes. It just happens that I worked at Interpol after I left journalism, that’s what I knew for a while and I wanted to have some fun with it. 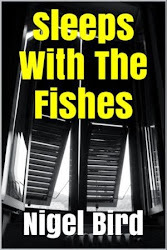 The thrillers are what I want to do, of course, they’re my main interest as a writer, and there’s a fourth one in the series underway, but as a breather I wanted to explore the absurd side of police work and, really, of any big organization, police or otherwise. Even so, you’re saying all the really hilarious, wild, absurd stuff in Interpol Confidential (US, CAN) is based on real events, real people? Well, any writer, whether a satirist or a thriller writer or a writer in any genre, bases his or her stories on experiences and situations and characters they have encountered along the way. But we build on those and mould them and change them to suit the story we want to tell. And if it’s a humorous story, then of course you can go even further and really pump it up. Some of it is really off the wall. You can’t have made all this up. It’s stuff that anyone who’s worked in a bureaucracy can tell you about, and maybe more, I’d say, anyone who has worked in a big police bureaucracy. And, yes, some characters display some of the traits of people I’ve met or worked with, and not just at Interpol. In newsrooms when I worked as a journalist. In universities, when I was teaching. There are strange, idiosyncratic, flawed, amusing people, and therefore potential fictional characters, everywhere for the taking. But the character of the Interpol Secretary General, for example. Who inspired that guy? There are some people saying he is very, very like the disgraced former head of the International Monetary Fund, Dominique Strauss-Kahn. Really ambitious, flawed, a schemer, a philanderer. And from a French bureaucracy background. Sounds an awful lot like your Didier Herriot-Dupont character, right down to the double-barreled last name. I’ve never had the pleasure of meeting Mr Strauss-Kahn. I wouldn’t have the faintest idea what you're talking about. I couldn’t possibly comment. “Any resemblance to actual persons, living or dead, is entirely coincidental”. That’s what it says at the front of my book. Look, these days, in an increasingly interconnected world, especially in the world of police and intelligence and security work, you absolutely need an organization like Interpol. Absolutely. And there are some exceptionally good police officers working at that headquarters building in France, really fine police from all over the world doing important work. But is everyone like that? Are there no problems and failures and mix-ups and messes? Are there no strange or inept people in there? Of course that’s impossible. Just as it’s impossible in any big organization, police or not police. It always gets down to people, and people screw up, they get themselves into trouble, they try to hide their mistakes, and all this is a wonderful source for satire. 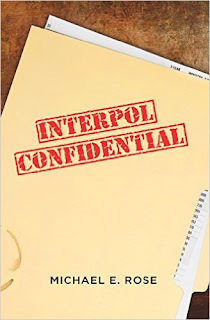 I learned a lot about Interpol through the book. Was that your aim too? To tell your readers more about this mysterious organization? Yes, indeed. I hope people will finish the book feeling they’ve had a peek inside the place. It’s just that taking a peek inside any police organization, even any local police station, will have its funny side. So I tell at least a part of the Interpol story, but I do it through humour and a lot of made-up stuff. I had a lot of fun writing it, I really let myself go. I hope people will have fun reading it. If Interpol didn’t exist, someone would have to invent it. Didn’t someone say that once? And now you’ve had some fun, it’s back to writing thrillers. Yes, absolutely. My Frank Delaney character is itching to get back in the game. Giveaway ends March 16, 2016.